I grew up in Durban, South Africa, living near a vast playground of mangrove swamps edging tidal beaches. I’ve since lived inland for many years yet water in some form holds a powerful, elemental attraction. Beneath the water, exposed when the tide recedes, are relics, a debris I often explore in my work. In 1987 he moved with his family to the United World College in New Mexico, USA where he still lives and teaches and works in his studio. 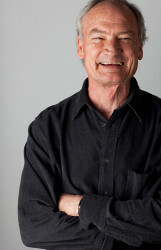 For more about Colin and his work, click here. 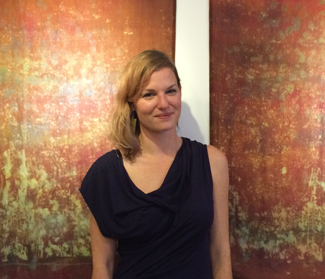 Jess Lanham designs on-screen and off-screen with traditional printmaking and modern photo printmaking processes. Hailing from northern New Mexico, she attended the School of the Art Institute of Chicago and currently lives and works in San Francisco as an art director. For more about Jess and her work, click here. Jane Warsaw- Studio Tour Preview at Tito’s Gallery, 157 Bridge St, Las Vegas, NM. Jane Warsaw became fascinated with hand made pottery on vacations and business trips to Europe, the Far East and the American Southwest. 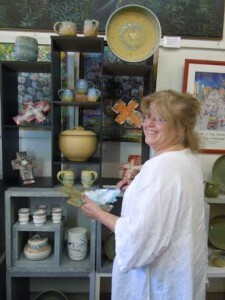 Jane moved to to the Southwest and works out of her own studio Crystal Cave Pottery in Las Vegas, NM. She has studied wheel thrown pottery at the Bostree Studio in Sugar Loaf, New York and has taken clay sculpture classes at The Clay Art Center in Port Chester, NY. She is a member of both the Potters’ Guild of New Jersey and the New Mexico Potters and Clay Artists (NMPCA). Jane teaches music and pottery at her home in Las Vegas, New Mexico, and also at the Armand Hammer United World College of the American West. Unique glazes combinations, classic forms, and whimsical sculpted handles are signatures of her work. In addition to Gallery 140 October 2015, and the Historic Las Vegas Art Studio Tour, she has been exhibiting at Tito’s Gallery on Bridge St. for seven years. For more about Jane’s work, click here. 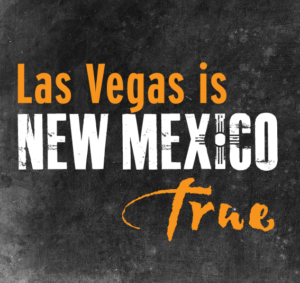 This exhibit at Gallery 140, 140 Bridge Street, in Las Vegas, NM will open on Saturday, October 3, and continue through October 30. Gallery hours are Tuesday through Saturday, from 1 – 4 PM. Many works will be available for sale. 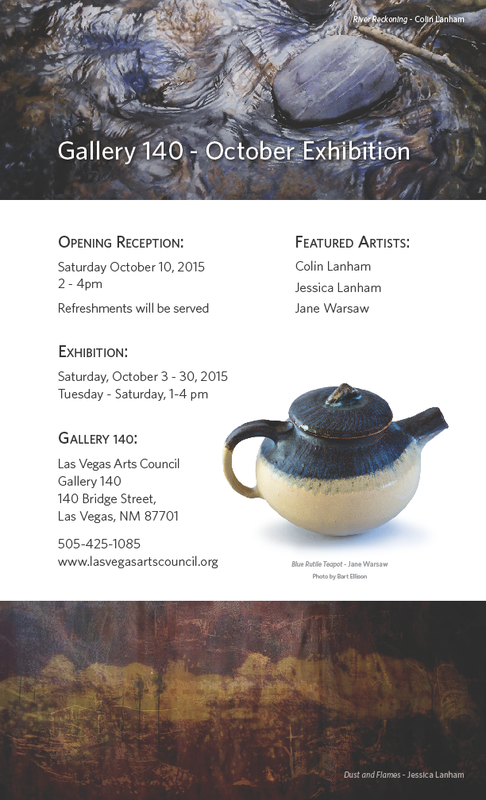 The public is invited to the Artists’ Reception from 2-4 PM on Saturday, October 10.